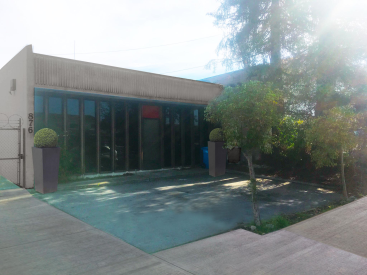 Don't miss this opportunity to start your business or expand your existing business in this prime location offering *2200 sq feet of commercial space. Included is a large private office, with a kitchenette and a separate dining area with additional storage. There is one gender-neutral bathroom. The location also offers ample space for multiple work stations and/or lounge areas. This space would be ideal for an Event Planner, a Mortgage or Real Estate Brokerage an Insurance Agency even a retail business. It could also be a dance studio or work out center. This is a great location to host networking events and speaking engagements. The possibilities are endless. The are two on-site parking spaces included. Owner pays garbage. Tenant responsible for electricity usage, telephone and internet service. Two year lease, liability insurance and a deposit equal to two months rent required. Space should be ready for occupancy Mid-February 2018. Call Lisa Jones, Broker (BRE# 01329774) 510-375-4791 for more details and to schedule a showing or Ronnie Matthews at 650-537-1040. *Square footage is approximate.